Empower your employees to give ‘above and beyond’ service that guarantees customer loyalty, advocacy and ultimately growth and profitability. Customer service excellence is not a luxury: it is a business necessity. In today’s competitive market, the need to deliver exceptional customer service is vital to differentiate your business from your competitors. By focusing on the key drivers of the customer experience, your team will take an ordinary service request and turn it into extraordinary experience. This human interaction has a powerful, positive impact. Brand loyalty starts with outstanding customer service. Done strategically, you can position your organization for increased profits and long-term success. Count on expertise that will help set you apart. 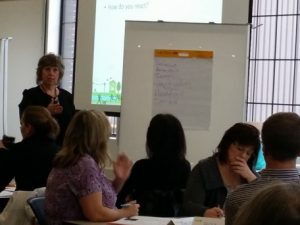 "Laurie is a dynamic and engaging facilitator who has the ability to make participants feel comfortable and at ease, leading to a greater level of learning transfer. 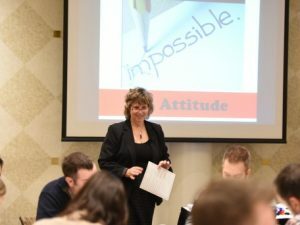 We have had Laurie develop several customized training programs for our Four Diamond, Five Star property in the past, including leadership, customer service, health & safety and interview training. 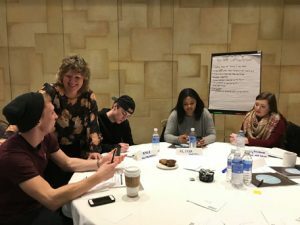 We find that the content of Laurie's training programs are consistently meaningful and relevant leading participants to an increased degree of involvement in the entire training process." We specialize in creating customized programs for your team! Customized programs to meet your organizations needs are a key aspect of sustainability and results. We take “customized” training a step further. Our onsite business analysis, which is unrivaled in the training industry, uses a variety of methods whereby we determine your team’s current performance level and tailor our training to elevate them to the next level. White Oaks named to the Spas of America’s prestigious Top 50 Spas in Canada list. Laurie’s two customer service programs, We Get It and We Get It 2, lead to the Ontario Chamber of Commerce nomination for a Service Excellence Award. In addition to realizing increased revenues, her client continues to receive numerous service awards and public recognition, and consistently achieves measurable outstanding member/customer experience scores. 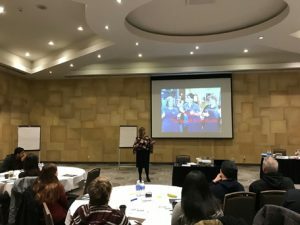 To get details about our list of customer service training programs, contact us today by emailing lflasko@laurieflasko.com or call us at 905-357-2345.